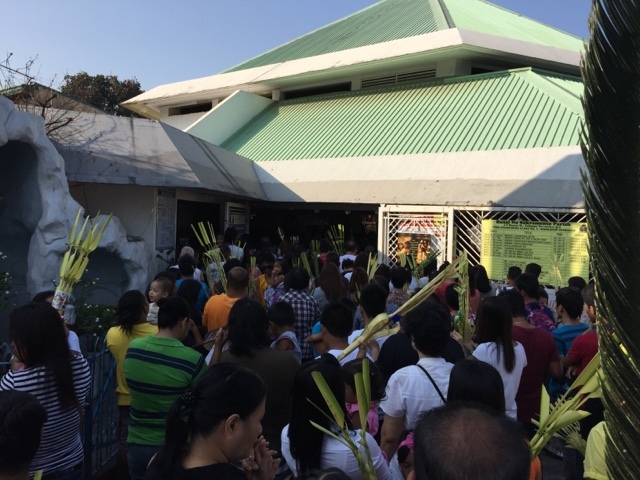 Growing up in the Philippines, Lenten Season was observed in its holiest tradition. 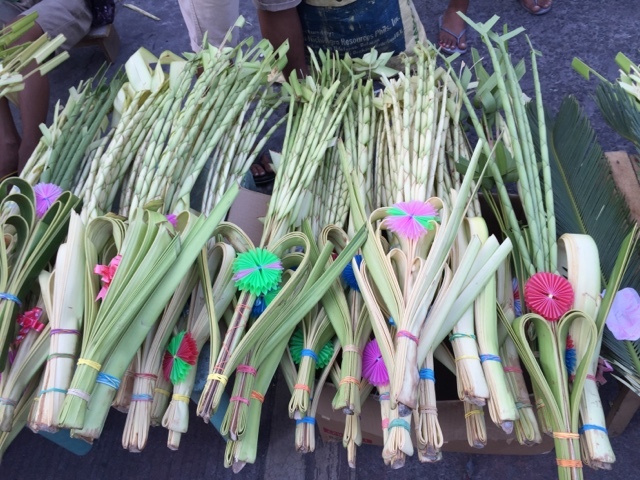 Palm Sunday, the Sunday before Easter, is when we commemorate Jesus Christ's triumphal entry into Jerusalem, the crowd waved palm branches and cheered, "Hosanna!" 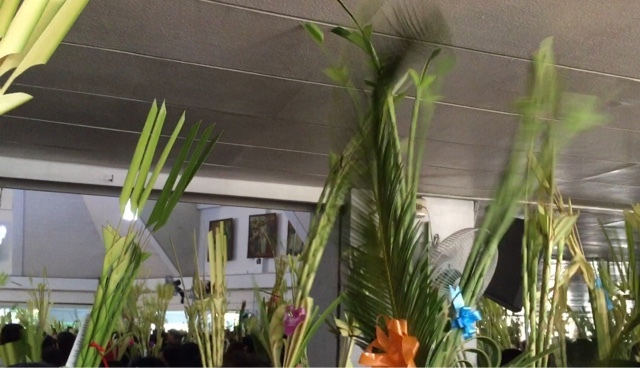 It's been 36 years since I attended Palm Sunday services in the Philippines. 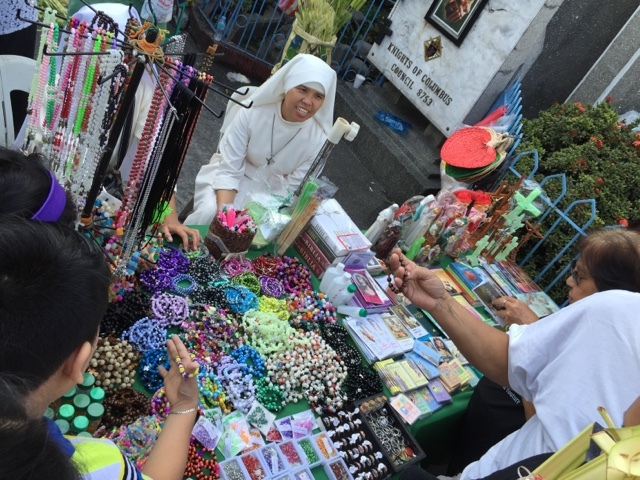 Today, I was blessed to have attended 2.
and nuns with their prayer books and rosaries. After the services, my mom and I went to visit my Dad at the Columbary at the Gardens of Divine Word Seminary. 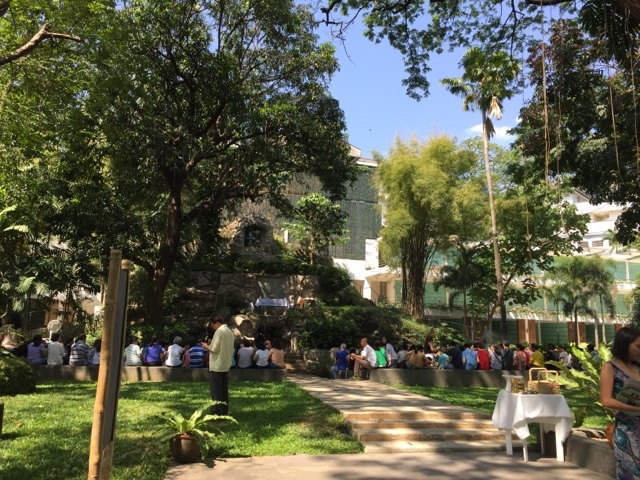 People who visited their departed loved ones attended the services in the garden. 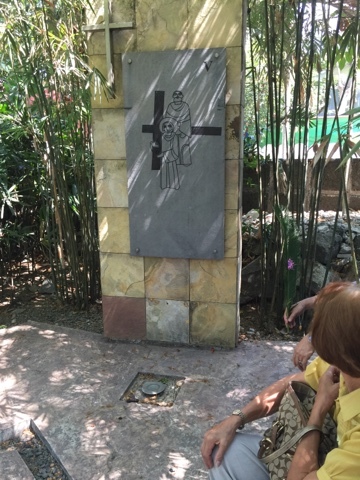 I feel a sense of pride being here because my Dad, whose ashes were buried in this Columbary, helped build this path way and altar when he was a seminarian. People listened to the Gospels of Lent. The prayers consisted of the dialogues when Jesus Christ faced Pointius Pilate. "Through my fast this Lent, am I moving away from spiritual or physical apathy or laziness and toward a more attentive and energetic life?" 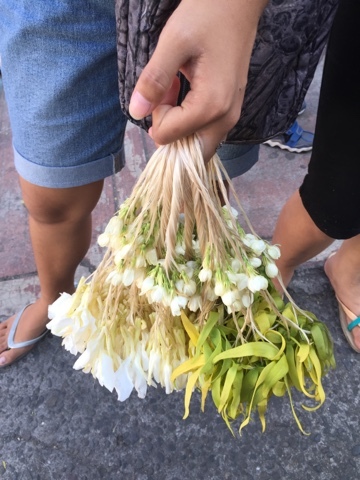 Do you have any religious tradition you missed from your childhood years? May you have a Blessed week. I am looking forward to catching up and sharing some soul-deep experiences. Sending lots hugs and love.